Retired homicide detective Linda Sikorsky and her wife Kirsten McClellan head to Maine from their home in the New Jersey woods for a weekend of rest, relaxation and rewrites as Kirsten finishes drafting her first novel. 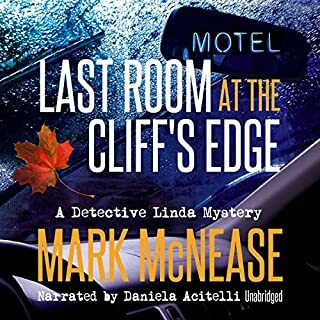 Bad weather alters their plans, forcing them to stop for the night at the Cliff's Edge, a roadside motel known for secrecy and indiscretion. Something murderous goes bump in the night, sending the women on a search for justice when a young reporter's body is found violated and dumped on a back road. Nick Williams, heir to a vast fortune, lives with his lover, Carter Jones, in the Eureka Valley neighborhood of San Francisco in an unassuming bungalow. Little do the neighborhood ladies, who do their daily marketing on Castro Street, know that just down the street their neighbor is the richest homosexual since possibly Alexander the Great. His no-nonsense secretary Marnie Wilson keeps things together at the office in the Tenderloin. To her frustration, Nick is always turning away clients. He doesn't really need the money, after all. 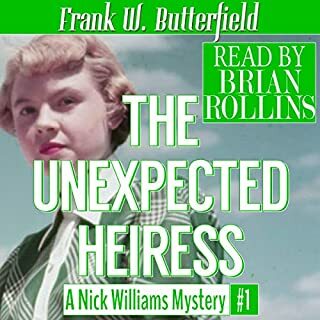 In The Unexpected Heiress, Nick is called in to see his lawyer and friend, Jeffrey Klein, whose mystery client, under contract to Metro, was just arrested at the Kit Kat Club on Polk Street but somehow got off with a bench warrant. Jeffrey wants to know who in the police department worked things behind the scene for the star of the upcoming blockbuster It Was Raining Then. Meanwhile a late night phone call from his estranged father sends Nick into a tailspin and a family secret, along with a lot of other things better kept hush-hush, are all splashed on the front pages of the daily newspapers. It ain't pretty. It's been six months since the Pride Gallery murders in Manhattan. 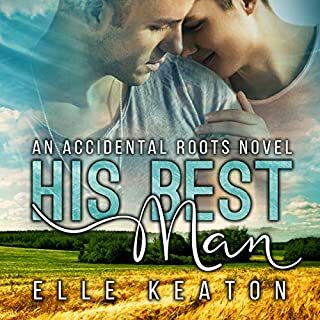 Kyle Callahan and his partner Danny Durban head to rural New Jersey for a relaxing week with their dear friend, Detective Linda Sikorsky, recently retired and newly in love. Driving back from dinner with Linda and her fiancée Kirsten, they discover the body of Abigail Creek, run off the road on a bicycle wearing only her nightgown and slippers. Kyle and Linda quickly find themselves learning more than they want to know about the Creek family and the home they call CrossCreek Farm. In the words of Clara Presley's grandmother, "Whatever grows there, grows in the shadows." Come along as Linda and Kyle make their way into the shadows and enter the spider's web, determined to find out who in this family of spiders is the deadliest one. I really like the underexposed settings, unique characters, and their interesting yet simple relationships in this installment of the Kyle Callahan series. . Death in the Headlights is my third exploration in his collections (check out “Stop The Car” for a good sample of his non-series, short story work). McNease’s narratives present a fresh take on solidly established genres, and this is what’s consistent: While thoroughly enjoying the experience of “story” McNease so well delivers, I find myself wanting more out of his writing, which admittedly veers to the lighter, upbeat side of mystery and murder (sounds weird when put in writing, but these things exist). Even in this less serious light though, a richer engagement is lurking on fringes, in full, inaccessible view. You can practically taste it, which can make for a frustrating read. The potential is clearly there, however, so I will probably keep following this author, provided he finds the better narrators. The narrator speaks well with, concise articulation and good flow. The issue is she reads this adult book as if it's intended audience is elementary school aged children. I get the impression she is a consummate professional who either inadvertently selected a tone that is completely unsuited this genre or whose forte is locked solid in children’s story book. Either way, in this performance, she did not rise to the task of mastering delicate combination of mature levity and the seriousness matter of murder. The publisher's blurb is pretty lousy, but the novel is really good. One one hand, it's kind of a romance of a newly engaged retired police detective with issues, and it also tells of growing friendships within a group. The murder and it's convoluted investigation, the dysfunctional family dynamics of the suspects, and the surprising twists comprise the real intent, and is very well done. As a history geek, I was delighted by the brief historical bits inserted as appropriate to several locations. Daniela Acitelli does very well with the audio performance by clearly differentiating characters and moods. It seems I have been listening out of order, to this series by Mark McNease. Newly retired homicide detective moves to the country where she inherited a house from here aunt, Friends visit, a body is found and now the investigation begins. The family of the victim are all suspects, as well as others. Twists, turns and lots of suspense to reach the conclusion. The narration was well done.The characters were well portrayed. Daniela Acitelli gives a nice performance. Where does Death in the Headlights rank among all the audiobooks you’ve listened to so far? 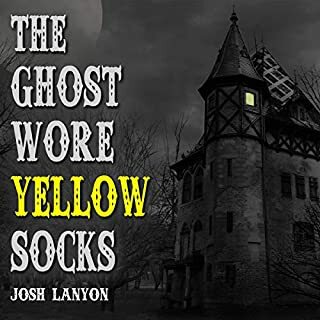 It was a straight forward mystery, a fun read for its characters. It isn't Chinatown, but an entertaining listen. It isn't meant to be deep. What other book might you compare Death in the Headlights to and why? 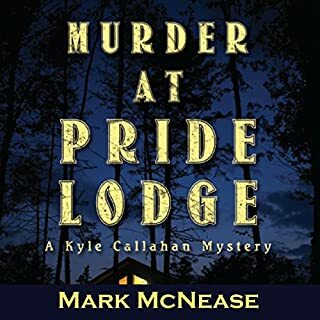 Any in McNease's Pride series. The central core of characters run through his books. This one retired Detective Linda Sikorski is more prominent. The tale is centered in rural "ish" New Jersey. Not sure if its simply a scene but as family secrets are revealed and pieces fall into place is appealing. Clooney, Damon, DiCaprio, and Helen Mirin, stayed in their seats and didnt get up for popcorn while enjoying this movie. Rofl. Kidding aside, I enjoy this series. Thank you for the opportunity to listen to and review this audio book. Short, quick, enjoyable and entertaining light murder mystery. People are just a devious and greedy in the country as they are in the city. Every family has their secrets. Linda a retired police officer who has recently moved to the country takes it upon herself to solve a murder mystery that has happened in her new neighborhood. Daniela Acitelli does the narration for this story. While I have listened to several books she has narrated before her narration just does not flow smoothly this time. She does have a pleasant voice and speaks clearly. Her character voice for Linda was really good. But it sounds like she has not pre-read the material of is not familiar with it. There are pauses in awkward places and there is to much emphasis put on too many words. While this may not be her best work, she is better than many narrators I have heard. I feel this could have been such a better book with a little bit of care and gloss. The mystery was pretty good - interesting and almost fast-paced. The supporting characters were more interesting than the main characters. Perhaps the author was trying to convey the normalcy a gay marriage has but it fell flat. The drama was exactly that and I didn't particularly care for the main characters or care if they got married or not. Perhaps this is the fault in that this is the first book I've listened to in this series. Maybe if I had listened to them in order I could have identified better. As it is, the overall is just okay. The narrator sometimes lapsed into that "I'm reading to little kids" cadence that drives me crazy but it wasn't too often. I was able to stay focused so it couldn't have been too bad. Near the top. Listened to it in one sitting! Linda is a strong, persistent woman who loved being a cop and solving cases. Which character – as performed by Daniela Acitelli – was your favorite? Linda. Daniela knew her character well. Her diction and cadence was very good. Not bad, just not to my taste. What did you like best about Death in the Headlights? What did you like least? I like mysteries that keep me guessing and provide twists and turns, so thought the storyline was one I would enjoy. Unfortunately, I had the whodunit part figured out less than half-way through. I wish more had been put into the mystery than the couples' dilemmas over their love lives. Honestly, I didn't care too much for any of them. None of them endeared themselves to me, except possibly the old lady who appeared briefly, the one who sold jams at the market. She seemed the most real of them all. What aspect of Daniela Acitelli’s performance would you have changed? Many times it was overly dramatic for the situation, yet still somehow lacking in emotion. The tone of voice and reactions didn't seem consistent with the way a hard-bitten, experienced retired detective would be. It definitely felt like she was reading the book aloud, rather than telling the story. It would depend greatly on who was in it. I think the storyline has potential, and maybe with engaging actors it would work. If you could sum up Death in the Headlights in three words, what would they be? I was kept on the edge of my seat throughout the book trying to figure out "whodunit". 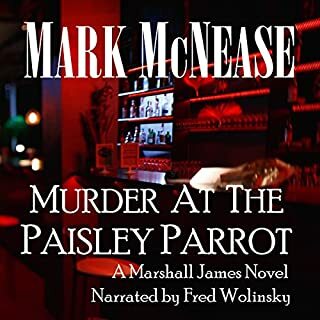 Mark McNease is amazing at weaving intrigue and suspense throughout his storylines. What about Daniela Acitelli’s performance did you like? Daniela is very engaging as a narrator. Her character portrayals were on point and manages to bring the story to life for you. The audio sample for this book was okay so I was not prepared for how flat the actual narration is. I like mystery's and eventhough this story is not too inventive (you kinda know whodunnit pretty early) it could have been helped by better narration. Unless you just have to have a listen with a gay lead, this is a pass. 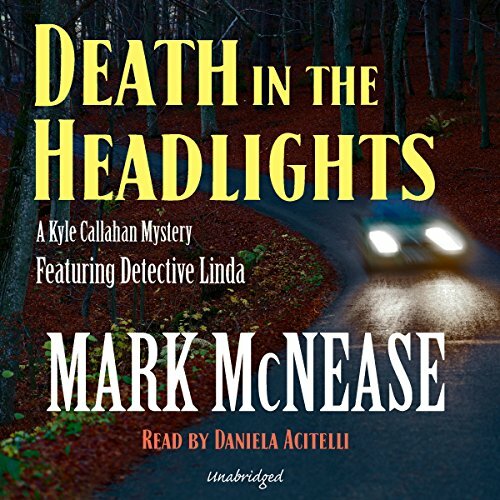 Another engaging mystery by Mark McNease, featuring partners Kyle and Danny and their friend Detective Linda. I was fortunate to be gifted a copy of this audio book by the author with no strings attached. Thank you. Kyle and Danny are planning to soon be married and decide to take a short vacation with Linda, still always known by them as detective Linda, despite her having left the police force and moved into her recently inherited house in the country. A time to renew friendships and better get to know Linda's fiancée, Kirsten. But finding the body of an elderly woman by the roadside is too intriguing for Linda and Kyle not to want to find out what happened, much to the dismay of their respective partners. This is a delightful investigation into the lives and secrets of those living far from the bright lights of the city. And the book reflects this, with no fierce battle scenes or violent confrontations (well, perhaps a little one), just an intriguing story, excellent writing, good dialogue and hidden depths to be uncovered both in their neighbours' lives and their own. The characters are so well drawn that I feel I know them personally - and want to know them more. So I will definitely be looking out for other books in the series in which they appear.